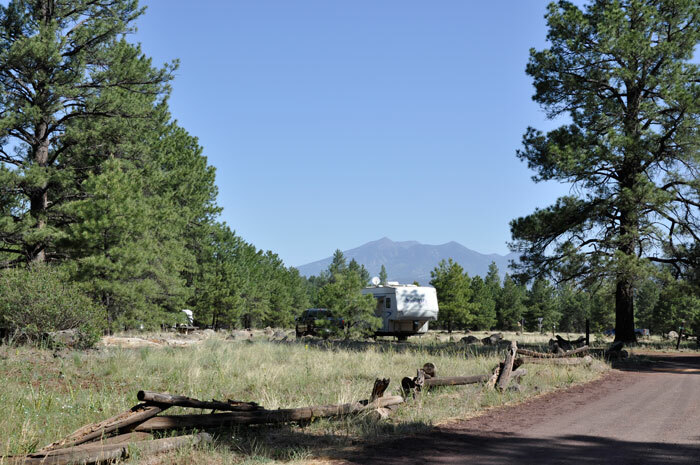 Mike Dechter, the NEPA Coordinator of the Forest Service’s 1.856-million acre Coconino National Forest, have had a continuing conversation about the Forest Service’s recently implemented Travel Management Plan. The Plan has been under development for several years as a way to control and manage the National Forests and to prevent irreparable damage. In the process, it is also curtailing the number of miles of National Forrest Service roads where hunters, off-roaders, and RVers may drive and camp. I received an email from Mike on Wednesday (tax day) that the 2015 Motor Vehicle Use Map (MVUM) has been published and is available free of charge online for smartphones, tablets, and Garmin GPS devices and at forest offices and several local businesses in and around the forest in Northern Arizona near Flagstaff. If you travel , or intend to travel, in Northern Arizona and the Grand Canyon area, this MVUM will be indispensable (can be used with an app so you do not need a wireless connection to use). Below you will find the entirety of Mike’s letter, how to obtain the map, and other valuable and useful information regarding coconino National Forest. “I’m writing to inform you that the Coconino National Forest has recently published the 2015 Motor Vehicle Use Map, which shows all of the roads, trails and areas open to motorized vehicles on the national forest. The map is now available for FREE and can be downloaded for use on smartphones, tablets and Garmin GPS devices. 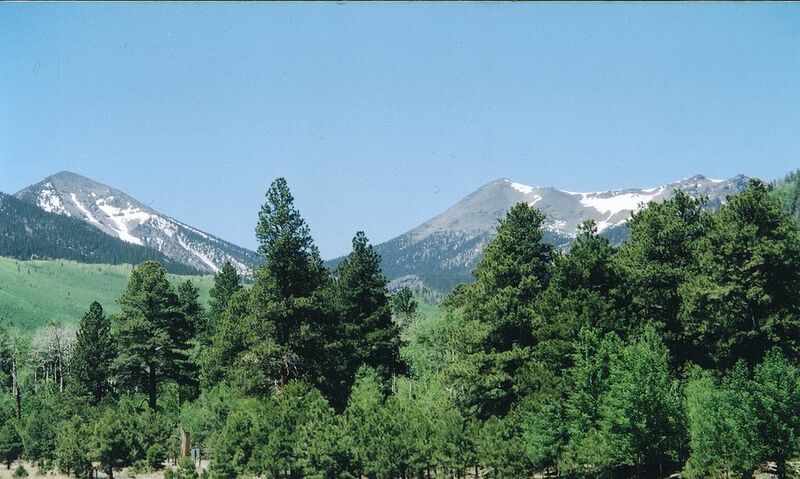 Hard copies of the MVUM will be available at all Coconino National Forest offices and many local businesses. “In addition to hard copy maps, forest visitors can now get a free electronic MVUM, which is a color map with shaded relief topography, game management units, hiking trails, and all designated motorized routes and areas. Using this electronic map on one’s smartphone through the Avenza PDF Maps app incorporates GPS location, meaning one can see where they are on the map as they drive or hike on the national forest. Instructions for how to get the free map app on your mobile device can be found at http://go.usa.gov/PEa (case sensitive). The Travel Map operates without the risk of lost reception and it does not rely on an internet connection, making it a valuable traveling tool. “The 2015 MVUM includes a number of updates and corrections made as a result of public input received over the past year. More substantive route changes requested by the public will need to be reviewed through the National Environmental Policy Act (NEPA) process. For more RVing articles and tips take a look at my Healthy RV Lifestyle website, where you will also find my ebooks: 111 Ways to Get the Biggest Bang for your RV Lifestyle Buck (PDF or Kindle), BOONDOCKING: Finding a Perfect Campsite on America’s Public Lands (PDF or Kindle), Snowbird Guide to Boondocking in the Southwestern Deserts (PDF or Kindle), The RV Lifestyle: Reflections of Life on the Road (Kindle reader version), and my newest Boondockbob’s Guide to RV Boondocking (Kindle). NOTE: Use the Kindle version to read on iPad and iPhone or any device that has the free Kindle reader app. Thank you for letting us know! This should be a great resource. Coconino NF is one of my favorites. Check out Apache Maid Lookout if you get the chance, incredible view of the forests!